Providing you the best range of frp cooling tower, frp cooling towers, industrial cooling towers, water cooling towers, 100 tr cooling tower and fiberglass cooling tower with effective & timely delivery. 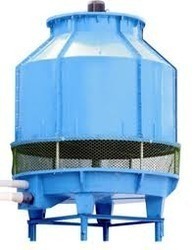 We are the manufacturer of FRP Cooling Towers. These can be installed in any direction with freedom as these have vertical induced draft counter-flow design. To ensure that the systems are free form problems faced with belt & gear drives, there is a direct driven axial fan. We are into manufacturing of best quality standard FRP cooling towers and designed for industrial uses. we are into manufacturing of industrial Cooling Tower available as per client need and high quality. 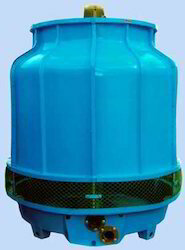 We are into manufacturing of water cooling towers.